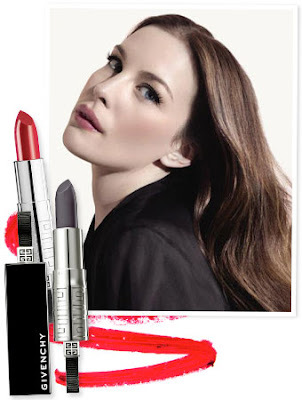 One of the most memorable thing when I go to P&G Vision House beauty event is I got a chance to met Liv Tyler in person! After the main talkshow with her, we (the winner of P&G Beauty Fans Forever) got a chance to met her in person and even took a pict together! Oh my goshhh! My heart beat faster at that time. I saw her in The Lord of The Rings trilogy film and have no idea about meeting her in person. All I could remember, she entered the room that full of people waiting for her. I stood beside the door, and she suddenly stopped in front of me and said: "hey I love your hair"
And here she was, standing in front of me and we're talking! She said that she loves my hair and my lip color, at that time I was wearing red lipstick by Revlon. And she kept talking about her new lipstick collaboration with Givenchy. It is a black lipstick, but it turns to your natural lip color when wearing. - She has a face mask almost everyday, and don't forget to exfoliate. - She loves to use hair conditioner, she uses A LOT. A hand full of hair conditioner! Oh it's a very memorable day! I couldn't believe I have a chit-chat with Holywood actress this close, and the fact that she's so friendly! Even before she left the room, she said to me: "hey nice to meet you"
Aaaaa vionaaa thank you :) merry christmas!